With oranges being in season, i am sure most of the orange lovers out there must be relishing on it every day. Here are few simple orange recipes with a twist for you, try them out! Toss up peeled oranges, olives and onions. Spread it on lettuce leave. Mix sugar and cinnamon powder in lemon juice and pour this dressing onto the salad. 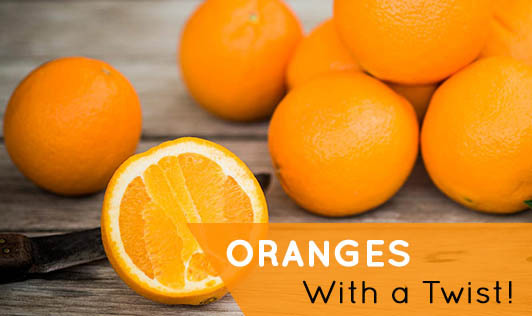 Peel oranges and slice them in round shapes of ¼ inch thickness. Place it in a serving plate. Mix honey and cinnamon powder. Drizzle this mixture on onion slices and garnish with mint leaves. Orange is a yummy and juicy fruit loaded with nutrients. Enjoy the fruit in your own unique style! !